It seems that nowadays we are busier than ever. In this age of fast moving technology, mobile TV, sports, dance class, school, work and all manner of things that keep us busy, it is easy to overlook the fact that your furry best friend might be bored. If he could talk he would be telling you so. You might not realize how bored he is until he starts to get destructive in your home or is crawling onto your keyboard as you try to compose your next Facebook post. This is your wakeup call! Here are some simple tips to avoid dog boredom and keep him engaged. To start with, a tired pet is a happy and content pet. If you take your pup out every day for a good long walk, off-leash run or a swim, chances are he will come home tired and crawl into his bed, happy to sleep and lounge about for a good part of the day. Exercise can solve all kinds of problems, not only physically but behaviourally as well. 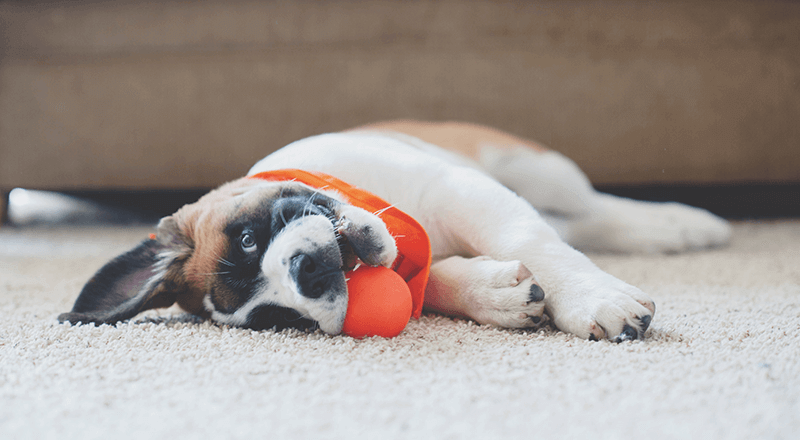 Boredom can take over whether you are at home with your dog or not, although destructive behaviour usually occurs when your pet is left alone. If you are home, resolve to be ‘present’ for your dog. That means that for at least a few minutes several times a day, your focus is on your pup and nothing else. Most dogs love a game of tug. You can make your own tug toys by braiding together strips of polar fleece. Try a little nosework. Place three or four small boxes upside down on the floor and place a treat under one of them. Then watch your dog go to work finding that treat. Work on just a little basic obedience training on simple things like ‘stay’ or ‘down’ or teach him a silly trick like waving or rolling over. Some dogs also need a job, especially the working or herding breeds or crosses like border collies, Australian shepherds or some terriers like the Jack Russell. Exercise will look after the body, and a job will help to occupy the brain to keep him out of trouble and your house intact when you aren’t around. A ‘job’ doesn’t have to be anything complicated. It can be as simple as a treat dispensing toy that will keep your pup occupied for quite awhile. 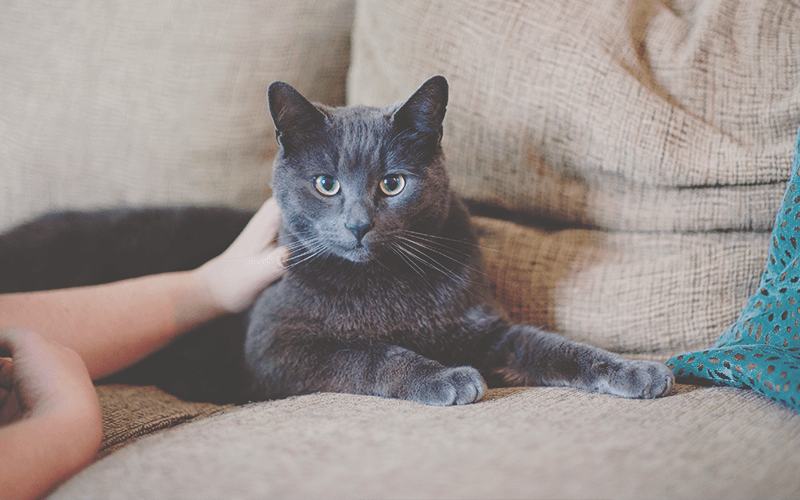 (Remember if you use treats as part of his entertainment or training, that you consider those extra calories when it comes to dishing out his dinner). You can stuff a Kong toy with treats or peanut butter (on a hot day you can even serve them frozen). Just remember that the more your dog can be kept busy, the happier and less destructive he will be. Your pup does not have to be bored. A little play or training, a little cuddle or quiet moment together two or three times a day will help your dog overcome his boredom and be a happier member of the family.